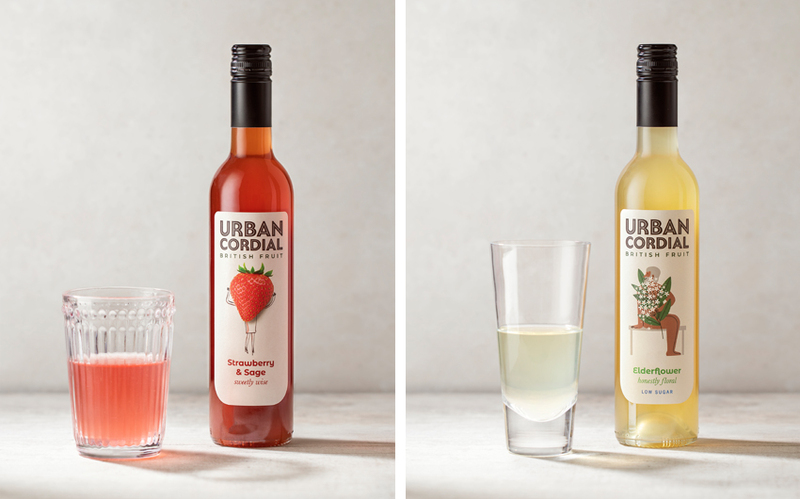 Natasha Steele, Urban Cordial’s managing director and chief juicer, visited our studio looking for a packaging tweak for her popular cordial brand. 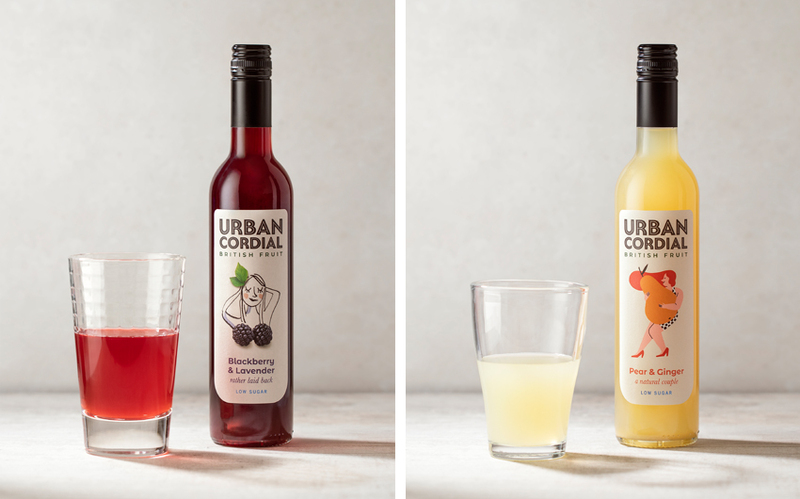 It’s a brand that’s all about fighting food waste and being local, which means they only use lumpy and bumpy seasonal British fruits to make their delicious drinks. 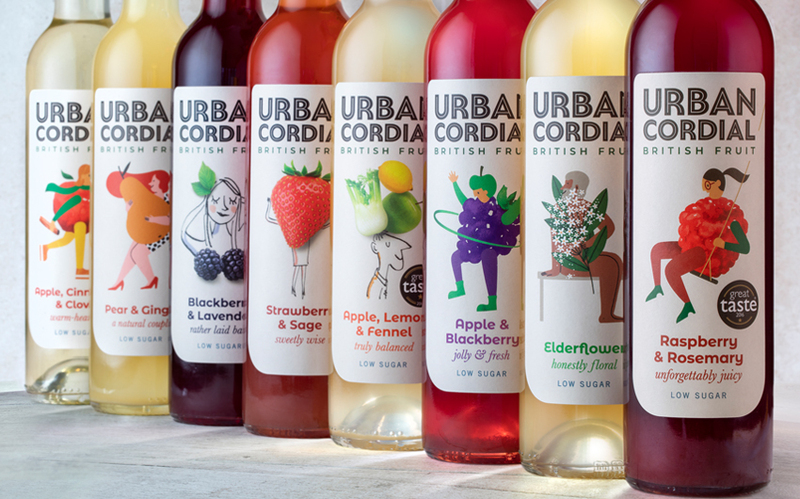 But it quickly became clear that there were a number of issues holding Urban Cordial back, and we needed to reimagine the brand across all customer touchpoints to push them on to the next level. 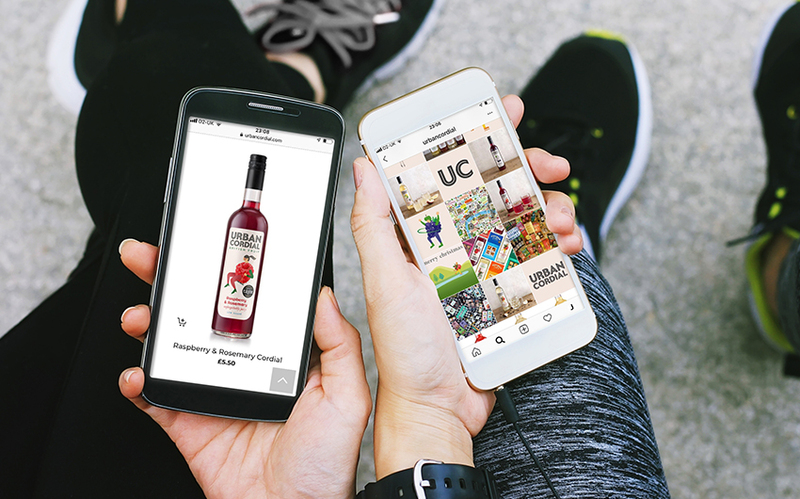 So we set about changing everything: from the logo and labels to the bottle shape and website. 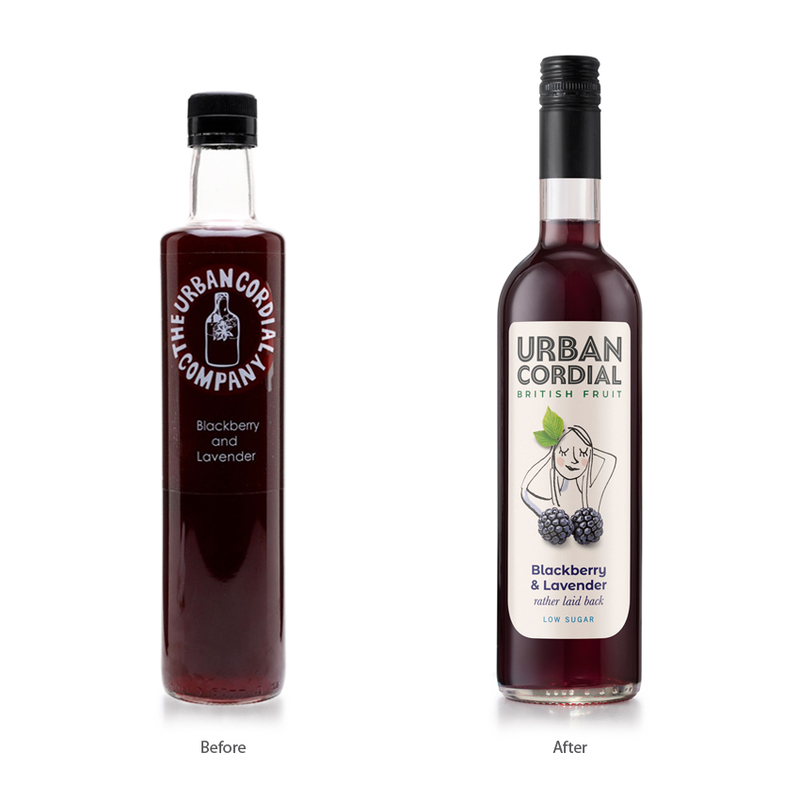 As part of the rebrand we shortened the name, from The Urban Cordial Company to Urban Cordial. Then drawing on the diversity and vibrancy of urban Britain, we created an entertaining and distinctive identity for the brand that has helped them stand out on the shelf and engage with their customers. 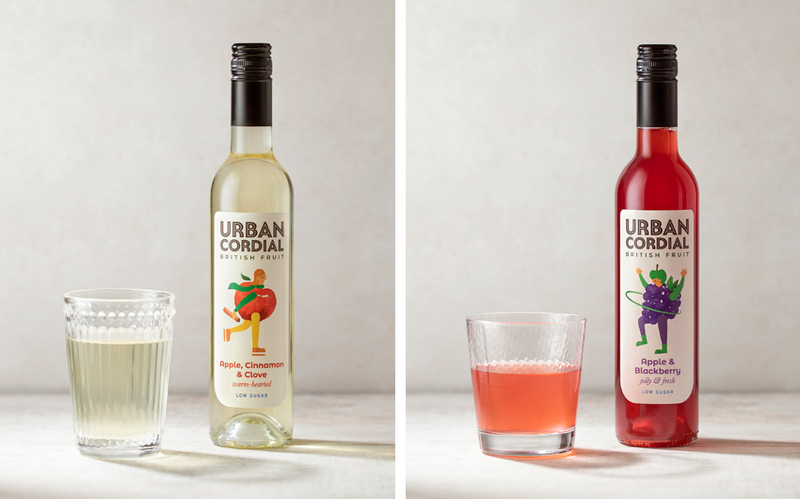 Just like their cordials, the new identity has been crafted with care from the bold wordmark and U-shaped labels, to the spirited illustrations and engaging copy. To create their new look, we collaborated with a number of different illustrators in addition to our own design team. By introducing a variety of artistic voices into the brand, we make room for a diversity of visual styles and create a world that’s dynamic. It all came together beautifully in an intriguing and clever design. 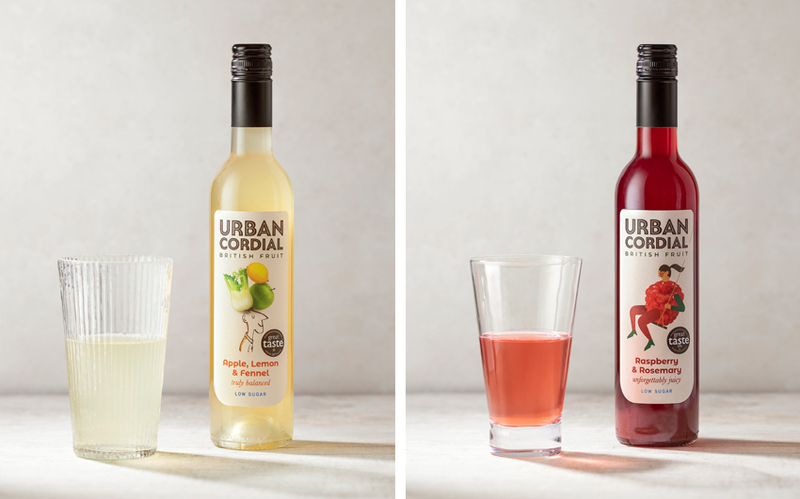 What makes this design so successful is how the copy and imagery work together, with each cordial having its own distinctive character.